After close to half a century of affirmative action, the three major races in the country, including Malays who were meant to benefit from the policy, are still highly dissatisfied about their economic position relative to other races. This is according to a CIMB foundation-funded study carried out by researchers from Oxford University, namely Ananthi Al Ramiah, Miles Hewstone and Ralf Wolfer. The survey found that 51.1 percent of Malays were highly dissatisfied about their economic position compared to the Chinese and 49.3 percent of Malays were highly dissatisfied when compared to Indians. As for Chinese, 49.2 percent of them were highly dissatisfied about their economic position when compared to the Malays but this number falls to 31 percent when compared to Indians. In the Indian community, 53.9 percent and 51.9 percent were highly dissatisfied at their economic position relative to the Malay and Chinese communities respectively. “This is a noteworthy finding because it indicates that, in general, about half of the population (based on the sample estimates that we have) are dissatisfied with their economic standing relative to their outgroups, and such dissatisfaction can be detrimental to efforts to create a more harmonious and well-integrated society,” said the researchers in a paper presented to the CIMB Foundation. The research, titled ‘Attitudes and ethnoreligious integration: Meeting the challenge and maximising the promise of multicultural Malaysia’, sought to study the inter-cultural and religious fault lines and how to overcome them. CIMB Group chairperson Nazir Abdul Razak, together with two of the researchers, highlighted the research last month in an opinion piece in The Star. They said the findings strengthen the case for strategies and initiatives to foster greater interaction between communities. The research found that only 33.5 percent of Malays thought the government’s economic policies were very fair, while 7.2 percent of Chinese and 8.4 percent of Indians thought so. The paper also discovered that 46.3 percent of Malays, 65.2 percent of Chinese and 67.3 percent of Indians felt that their race was highly discriminated against. Almost half of the Chinese respondents expressed a strong desire to emigrate while slightly more than half of Indians are willing to participate in collective action due to feelings of discrimination, it said. Interestingly, all races felt their group were highly discriminated even though the personal discrimination they experienced was significantly lower. The research also looked at the impact of religious identity on tolerance. It found that greater religious identification led to more negative attitudes. However, the research found that this can be mitigated by encouraging better knowledge of other religions, having more friend and interacting with those of other religion and finding similarities with other religions. “In a highly religious nation (and an increasingly religious nation), we find evidence that segregation and lack of mixing can be particularly harmful, and that increasing opportunities for (and actual uptake of) outgroup friendships can buffer the negative effects of a person’s high levels of religious identification,” said the research. The research was based on a survey of 503 Malays, 500 Chinese and 501 Indians in peninsular Malaysia between September to October 2016. 1) Respondents prefer friends of their own race compared to other races and this is particularly pronounced amongst Malays. 2) Promoting positive inter-ethnic contact can help foster positive attitudes towards other races. 3) Respondents identified more strongly with their race than with being Malaysian, even though for Malays they are more similar. 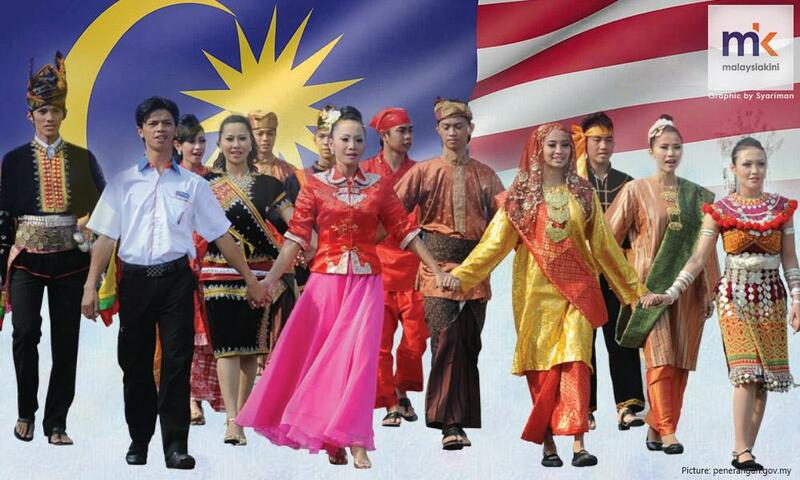 4) Integration efforts such as 1Malaysia has stronger impact on non-Malays in developing positive attitude towards other races compared to Malays, as Malays perceive being Malaysian and being Malay as being one and the same. 5) Mixing and making friends with other races at one’s workplace and neighbourhood helps foster better attitudes towards other races. 6) Greater diversity, positive inter-ethnic contact and social support in the neighbourhood is associated with better mental health. 7) More than half of the respondents support strong integration through racially-mixed neighbourhood, school and political parties, religious equality with the exception of bumiputera privileges which is more contentious for the Malays and vernacular schools which is more sensitive for Chinese and Indians. The research recommended diversity at workplaces as well as inter-ethnic learning and multi-faith religious education in schools. It also encouraged the government to maintain mixed neighbourhood and improving social cohesion could be strengthened by creating and maintaining more public social and leisure facilities in neighbourhoods. It also urged the government to review programmes like the 1Malaysia policy.